The HR software market is poised to grow at a compound annual growth rate (CAGR) of 2.4% and touch $9.2 billion worldwide by 2020. As per the Sierra-Cedar 2015-2016 HR Systems Survey whitepaper, more than 50% of the companies have purchased cloud based core human capital management systems. Mid-market companies were quicker to move to cloud HCM applications in comparison to the larger companies, said Stacey Harris, VP, Research and Analytics for Sierra-Cedar. For the companies with less than 2,500 employees, 61% have their core HCM system in the cloud. This indeed indicates to the “tipping point” that the industry is going through in the HR app domain. 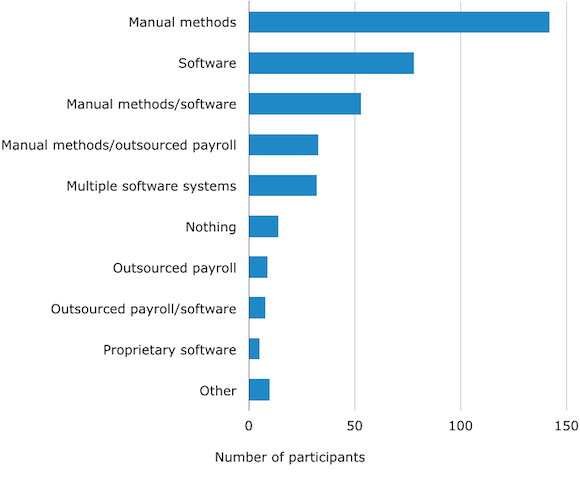 As reported by SoftwareAdvice, 40 percent of HR software buyers were purchasing a solution for the first time in 2014 which shows that the HR function has been slow to embrace new technology — especially in small to midsize businesses (SMBs). In spite of limited budget small companies need to be efficient and streamline their business processes. In this post we’ll go through some of the major HR related challenges which can be easily solved via an integrated HR application deployed in the cloud as a SaaS solution. HR regulatory requirements set by a government varies from country to country. It is very important for every business to meet those requirements and keep the documents related to labor laws, taxation, insurance and healthcare in place. Apart from this some essential elements like emergency contact number, bank account number, address of the employees must not be stored in distributed systems of spreadsheets, word docs, document scans, etc. All these are prone to human error, data loss, processing delays and in unfortunate events, can also cause legal penalties. SaaS apps let you store all these documents in the cloud and give you access to them anytime, anywhere from any kind of web or mobile device. HR unit is an integral part of any organization and software solutions must emulate the same. Using the HR system, you can replicate the reporting hierarchy in the HR app and that should be reflected in other business unit of the company. HR application can help employees view their own information, make changes and update their personal data. Organisational efficiency increases when staffs start taking care of their own records instead of relying on a manager who will manually maintain the data. Performance management is crucial to make sure that the employees are consistently improving. But, it is also equally important to capture various data points throughout the appraisal cycle for an effective performance review and HR system should come into play by automatically capturing them. Example: when a client gives appreciation for the delivery of a task or a project, your HR solution should be able to record that for future reference. You can set the attendance requirement and time-off policy for your company by configuring working days in a week and the number of leaves that an employee can avail in a year. You should also be able to create custom holidays as per your company’s decision and government rules. When your company grows, the complexity associated with a bigger company also grows. As you continue to hire your 10th, 50th or 100th employee, the HR app should be able to scale along with you and automatically take care of the intricate requirements. We covered quite a few good reasons why small businesses should be using a HR application in the present day. Even if your requirements are only tracking time-off and digitizing employment records, a unified HR solution can bring in much more efficiency and accuracy. Feel free to post about the HR related challenges you are currently facing and their solutions in the comments section. PS. 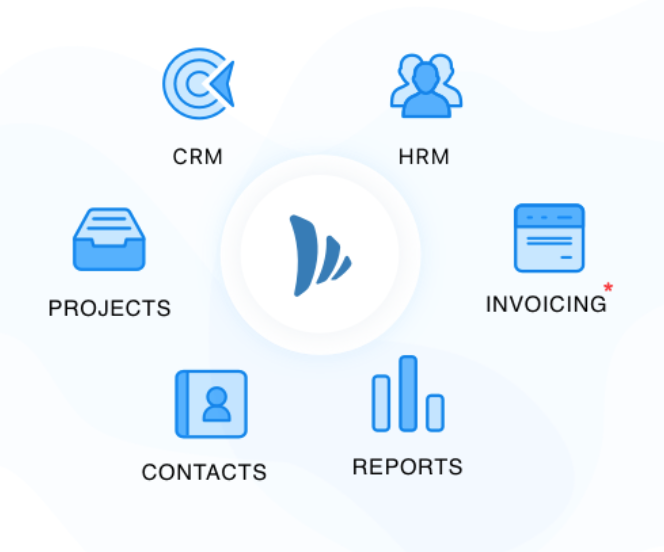 TeamWave’s HR app is free for small and medium-sized businesses and strives to provide the solutions for the challenges mentioned above. Timely article. Digitization of HR is a topic that is creating noise among the cloud-based companies. It is a fact that there are a number of benefits that are relevant and effective with the use of SaaS in HR but it still has a negative side. There is an issue with regard to using less manpower (therefore, job loss to employee/s deemed unimportant in that department anymore). I am still in confusion with regard to this matter, honestly.